LEGIC now has a “card-in-card solution” that combines smart card micro-controllers with building access and related multi-applications onto the same smart card chip. 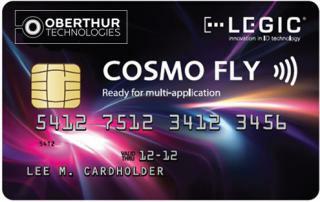 This enables standard contactless LEGIC uses – such as physical access – to be combined with other contact type third party uses such as logical access to PCs, government ID credentials, credit cards or national ticketing applications. With this, the end user may use the NFC based telephone or the dual interface smart card as a multi functional identification badge to open doors, pay at cash points, buy a bus ticket or pay entrance to the gym.